Cynthia Sheppard is the art director for Magic: The Gathering at Wizards of the Coast, and works as an illustrator in the fantasy book and game industry. And when you see her art you’ll be blown away. Well, of course you’ll be. She is amazing. She has done work for many companies and some of her clients include, Fantasy Flight Games, Cryptozoic, Lamentations of the Flame Princess, Sinister Adventures, Kobold Quarterly, Tor Books, Pyr Books, McGraw-Hill Ryerson, ImagineFX, Asimov Science Fiction, and Bull Spec. Below is a small sampling of her wonderful talent. Each image links back to the site of origin. Enjoy! As you know, I usually prefer my art more gruff and gritty and the texture less smooth, but today’s artist is so talented I’ve fallen in love with her work. Cynthia’s paintings are clean and classical and beautiful. Not at all my usual thing, and yet, somehow, her style whisked me away. I’m not sure how it happened, but it happened. I suspect it’s her use of classic lines and realism with a muted, soft palette, sparingly sprinkled with dynamic lighting, and let’s not forget the fantasy element. Together, they weave a kind of magic that casts a spell on the viewer, and it must be working for my eyes are totally infatuated with the results. Let me not ramble on, so Share your thoughts in the comments below. 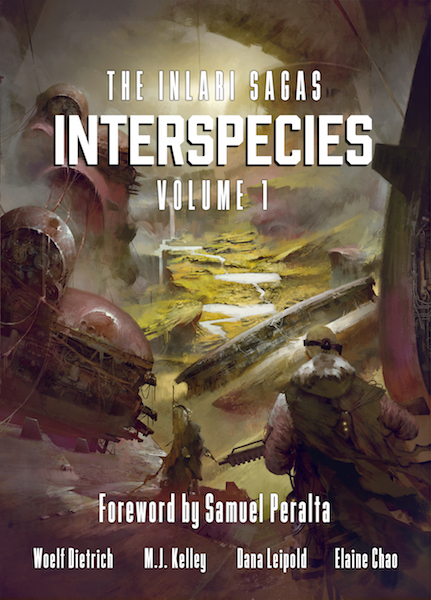 Also, remember to check out this week’s sci-fi artist over on Kōsa Press. < Previous Babylon’s Song is Done! Very nice. I was not familiar with her work, but I’m going to be keeping an eye out for it. Same here. Only just discovered her but her paintings have a lingering effect. I appreciate that her portrayals of female characters are much more dignified than in so much of the fantasy art that I see being produced by men. She brings a beauty the others lack. Each picture looks like a snapshot of a story in motion. It does. I love that. Makes me imagine the story. Thanks for commenting. It is always interesting for me to see how art affects people in different ways. One of the many reasons why I’m doing this Art of… series.